Well, jeez. That mysterious person we were all into for awhile finally came forward. The man who deactivated Trump’s Twitter account has been identified as Bahtiyar Duysak. The deactivation heard ’round the world was really exciting for ten minutes or so, and we were super into learning the story behind what happened. We assumed the Twitter employee was a hero, but really his hand just slipped. Most everyone knows that Donald Trump’s tweets are pretty much proof that we live in the upside down, or the Bad Place, or whatever other awful world you can think up. For a brief moment, we thought were all on the same page, even the creators of Twitter. Bahtiyar Duysak was working in San Francisco at the time. After someone reported Trump’s account, Duysak took the appropriate steps to deactivate it. We’re unsure of what those steps are, but we also think that Trump’s account is probably reported an awful lot. 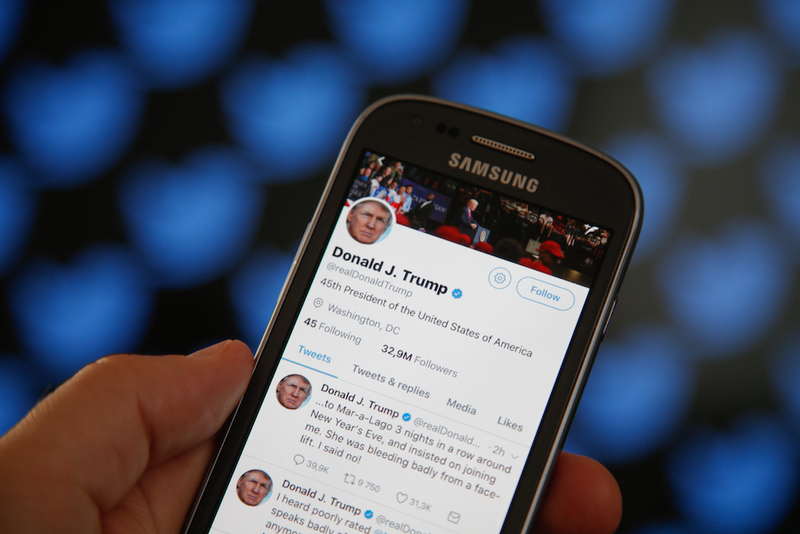 Between sharing racist anti-Muslim propaganda videos (that were, by the way, fake) to calling Kim Jong Un “short and fat,” there’s plenty that should theoretically break Twitter’s code of conduct. "I had a wild time in America, and I was tired sometimes, and everyone can do mistakes," Duysak explained to Tech Crunch. "It might be that I did a mistake." Yeah, it sure has been a wild time in America, Duysak! In other news, turns out some people think the Twitter employee is kind of a hottie. Well, at least until he admitted that he actually admires Trump. Okay, so verdict is out! Some believe this is maybe not the truth and he did it on purpose. Plenty don’t care and just want to talk about how handsome he is. And others are really disappointed that he has apologized. "If I’m involved in this, I really apologize if I hurt anyone; I didn’t do anything on purpose," he said. The disappearance of Trump’s account will surely top the highlights of 2017. For now, we hope Duysak moves on from being the conflicting Twitter dude.